Dr. Kevin Kita is well known among his patients for his compassion, wisdom, astonishing intuition, gentle and caring demeanor, and non-invasive chiropractic technique. He is a 1997 graduate of the Sherman Chiropractic College and has been practicing Chiropractic in the Yardley/Morrisville area for the past 20 years. Dr. Kita was an international speaker and teacher for the Koren Specific Technique and has been featured on numerous television and radio shows for health related issues, Chiropractic, and for his book Healing Journeys Stories of Mind, Body, and Spirit. He was the Chiropractor for the Trenton Shooting Stars professional basketball team. Dr. Kita was also the publisher for an internationally recognized Chiropractic newsletter and has spoken to many companies and groups regarding the benefits of Chiropractic care. 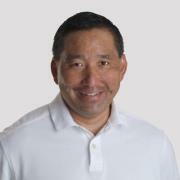 Dr. Kita is on the board of the Ivins Outreach Center and is involved in many other local charities. He is considered the Chiropractor’s Chiropractor because there are many Chiropractors that seek him out for care and professional advice.